Co-citation and co-occurrence are terms that are still considered as theoretical ranking factors that Google has not confirmed nor denied. But there’s something about these two buzz words that keep the SEO industry talking. Can these new ranking factors be the next big things in SEO? Let’s find out. According to a definition summed up by Jim Boykin, co-citation is a Google ranking factor used to establish a subject similarity between two web pages based on links from a third party page. This works under the premise that if A cited B and C, then B and C could be related to one another even if B and C don’t directly link to each other. So let’s say I wrote a blog post about the latest news about North Korea and linked to The New York Times and CNN. This would be considered a co-citation which would send a signal to Google that The New York Times and CNN are probably similar websites that talk about news. If more sites will link to both The New York Times and CNN, then the relationship between these two will be stronger, giving Google more reasons to believe that these sites are reliable news sources. 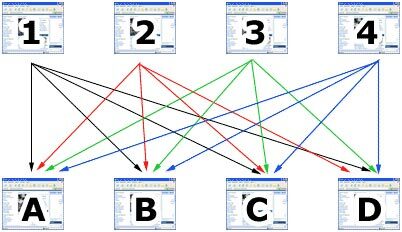 As you can see from the diagram above, websites 1, 2, 3, and 4 all link to websites A, B, C, and D. A,B,C , and D don’t directly link to each other but it will send a signal to Google that A, B, C, and D are probably related to one another since a couple of websites link to all of them. Remember, if you want to rank high in SERPs, start taking into consideration your co-citation. It’s crucial that the other links on the websites that link to you are highly related/relevant to your site. If you’re curious about how your website’s co-citation looks like, type your website on Google using this format: (related:www.yourwebsitename.com). The websites that link to your site, most likely linked to those pages you’ll see on the search result. Co-citation is a great way to improve your search ranking especially if you have a good linking neighborhood. Getting a link from a business directory site is also good for your co-citation, since your website is listed on a page where all other similar websites are linked. Alternatively, the downside to co-citation is if there are enough sites that link to your website and a spammy web page. This could send signals to Google that your website could also be spammy even if it’s not. Last November, Rank Fishkin of SEOMoz predicted that the diminishing value of anchor texts will continue and may soon be replaced by a term he calls “co-occurrence”. Unlike co-citation which associates two sites, co-occurence associates a site or brand with specific keywords/phrases. The theory implies that if website A mentions website B and adds certain keywords/phrases to describe the latter, the algorithm would try to assess the relationship of website B and the keyword mentioned. If website A talks about Wikipedia and wrote “we know that encyclopedias are still popular because of Wikipedia,” then Google will associate “encyclopedias” with “Wikipedia” even if the author of website A didn’t include any link to Wikipedia’s site. 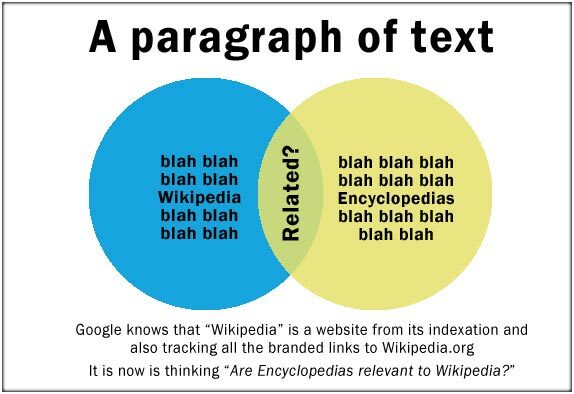 If more websites will talk about Wikipedia and mentions the word encyclopedia in the right context, then there’s a higher probability that Wikipedia will show up on search results whenever the keyword “encyclopedia” is typed in Google’s search bar (and it doesn’t matter whether or not all those websites linked to Wikipedia). The key to co-occurrence is to encourage other websites to talk about your brand using words/phrases that you want search engines to associate with you. To do this, you may network with bloggers, submit credible press releases and feature articles on online magazines and journals, or use social media to get more people talking about your brand. Influence them to describe you using words that you want Google to relate to your brand/website. 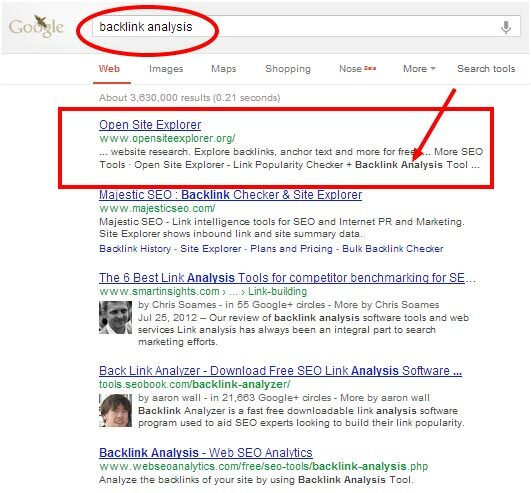 Taking from the example cited by Rand Fishkin, it’s interesting to note that the Open Site Explorer website came out on top of search results even if the phrase “backlink analysis” is not included in the meta title nor can it be found anywhere on the page. According to Fishkin, “Google used some text from another article that they found that mentions backlink analysis”. Co-citations and co-occurrences could be two of the more important relevancy signals as Google aspire towards a more natural search experience leaning towards context and high quality content. Co-citation and co-occurrence are surely a welcome change to an industry beset by over-manipulation of SERPs. While there’s a lot of speculation and hearsays surrounding these two, there’s no denying that such changes allow us to peek into the future of search – whether it looks bright or shady, in my opinion, depends on whether or not you do your SEO right. How to Run a Successful PPC Campaign Twitter’s VINE: The Next App to Beat Instagram?